Post news Report RSS	Busy week! Two more WEEKS! Who is ready for the zombie apocalypse? Welcome back everyone! Two more weeks. E3 set up this summer of games to look forward to. We wanted to wait until after all the E3 showcases. Speaking of Gaming Conventions, Mike our Community Manager will be at PAX West in case you are going. He will be walking around the event answering questions and may have some surprises for those that are able to track him down. Speaking of Mike, it was his birthday yesterday, so head on to the Discord and wish Mike a Happy Birthday in the off topic section. The updated demo releasing soon, will be slightly extended to allow more time to get use to the controls and a chance to change settings until you are comfortable. EA launch there will be a Shooting range for you to test your skills on and practice your proficiency in accuracy and speed reloads. 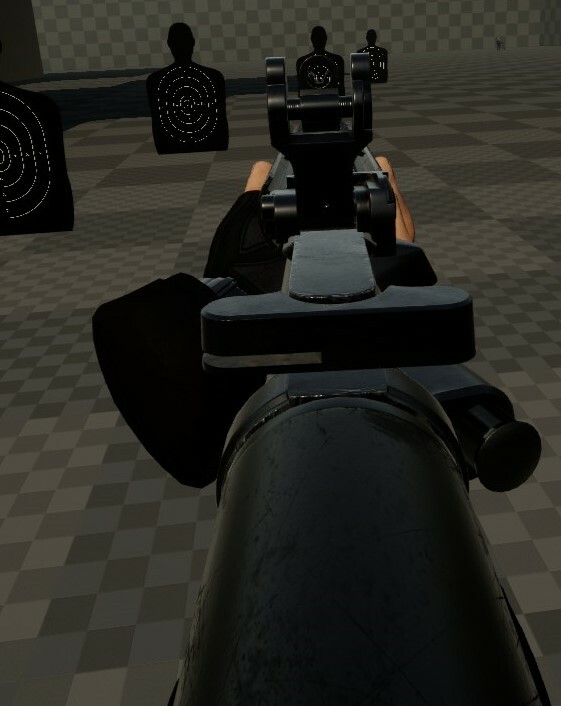 There will be several weapons to find and use in the Shooting range. Though I wouldn’t, use ALL of your ammo. Your inventory is persistent including your ammo count. So grab a friend to scavenge with in the coop mode, or take to pvp hunted mode and be the last man standing, buried in loot. We always want to hear from the players, so send your thoughts, feedback and concerns on Discord in the link above. Be sure to send your feature requests as well, we’d love to hear from you and see what cool things folks want in the game. Cheers!